Photo of Richie Porte by the A.S.O. 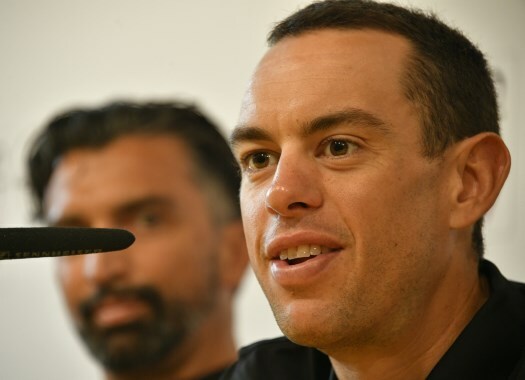 BMC Racing Team's Richie Porte finished the second stage of the Vuelta a España at 13 minutes and 31 seconds from the day's winner Alejandro Valverde. The rider explained after the stage that he's not disappointed. Despite kicking off the race as one of the favourites, Porte has commented that he's still recovering his shape after crashing out of the Tour de France with a broken collarbone and clarified that his intentions in the race were not to fight for the overall classification. "I never said coming into this race that I was after the GC," the Australian explained. "The team said we would take it day by day as it’s not been a good run in from me. If you crash out of the Tour de France, you’re not straight back on your bike. "Yesterday was a great day for the team and we had Rohan (Dennis) in the red jersey today which was great but for me personally, I knew I wasn’t going to have a great day today from the get-go. The peloton set a very fast pace in the race and the heat also played an important role in the dropping of riders a the last kilometres. "It was a tough stage for everyone I think and when you see guys lighting it up like the Spanish guys did, it’s never going to be easy. They definitely made the race hard today but we have to keep looking forward though and will see what happens as the race develops."